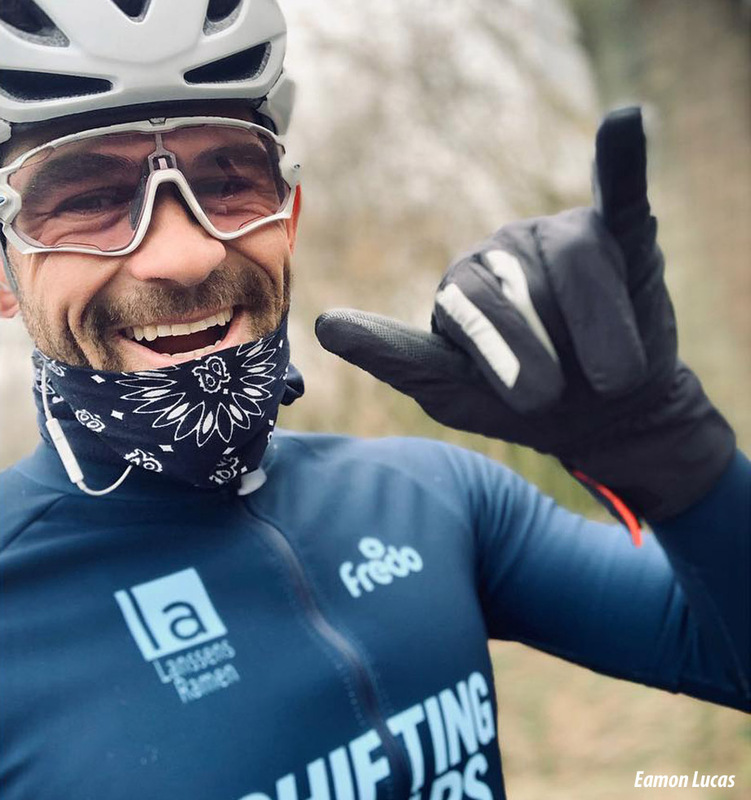 PezCycling News - What's Cool In Road Cycling : Californian in Belgium – Eamon (Van) Lucas Gets PEZ’d! 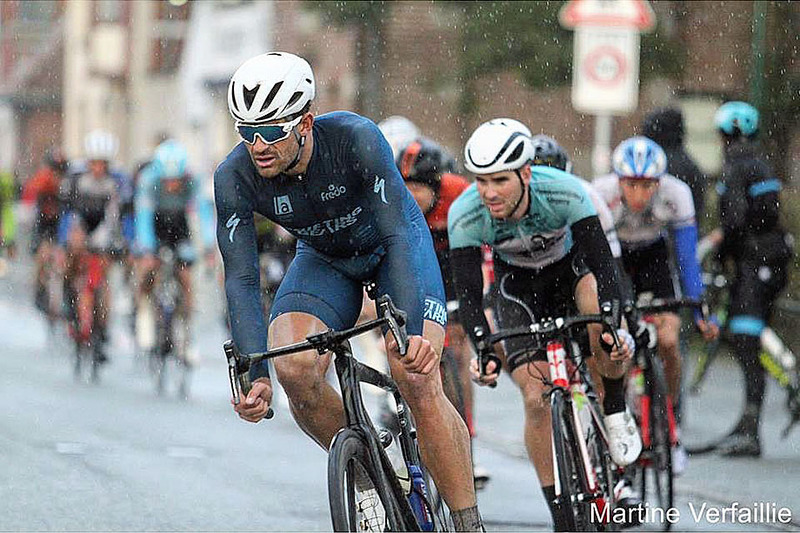 Californian in Belgium – Eamon (Van) Lucas Gets PEZ’d! 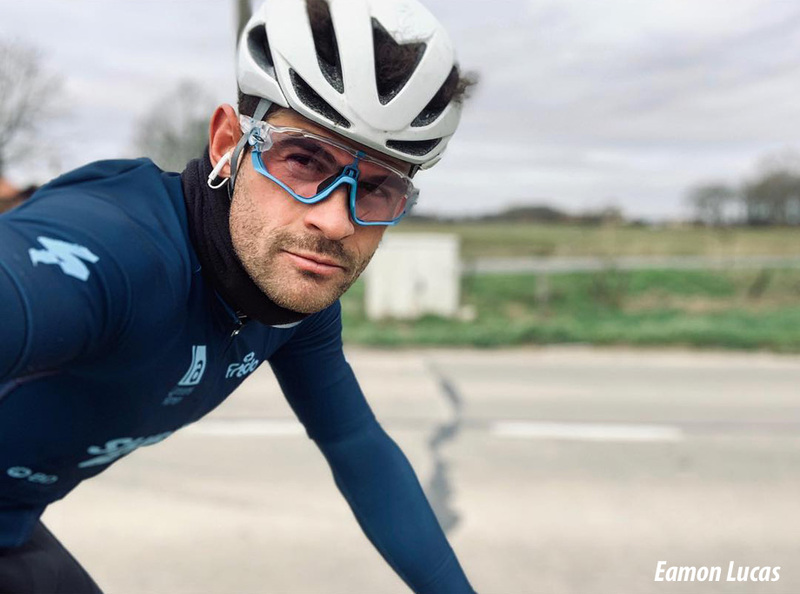 Rider Interview: Eamon Lucas - a Californian boy who has swapped the sunshine and surf for the rain, mud and cobbles of Flanders in the next part of his varied career. 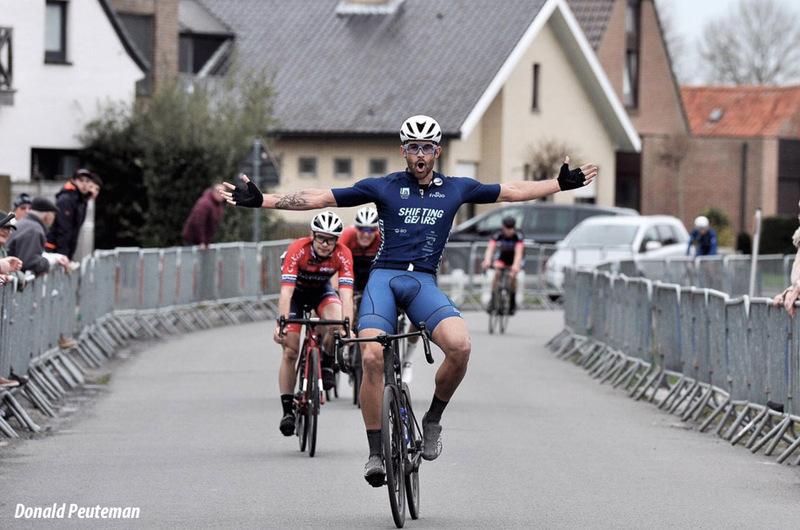 From US junior national team to 'fixie' crits, stage race wins and on to the Flemish kermis circuit. Ed Hood has a word with Eamon. 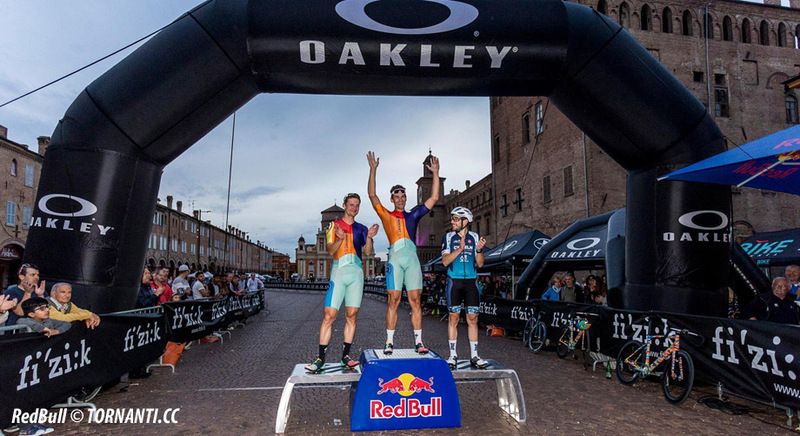 He’s been around a while but with two wins already in the flatlands in 2019 is this BREAKTHROUGH year for 26 year-old Californian Dude, Eamon Lucas? 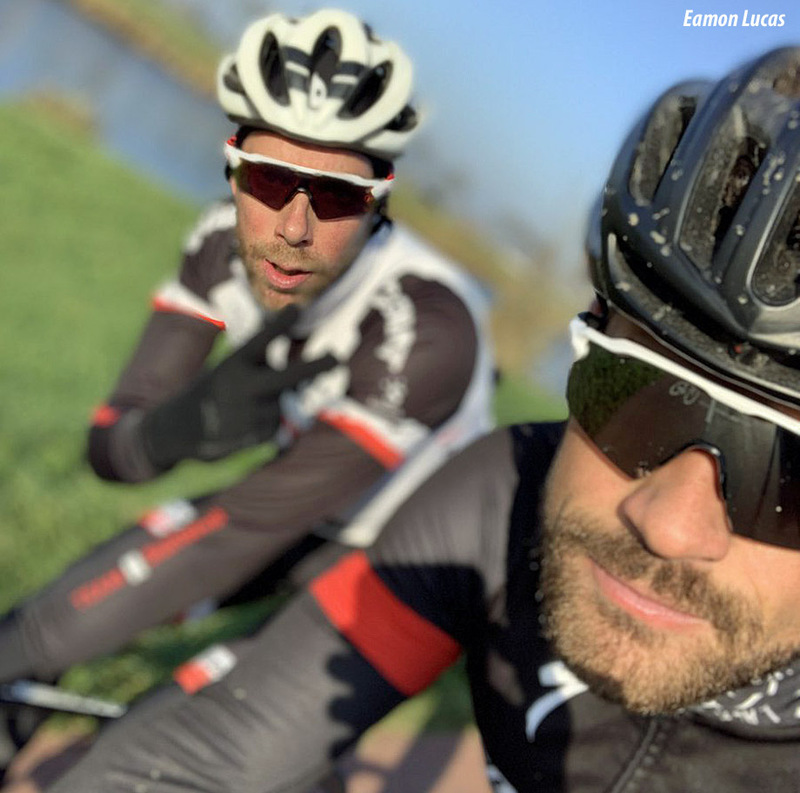 PEZ: Two wins in the Flatlands already in 2019 Eamon – Maldegem and Izegem; tell us about them please. 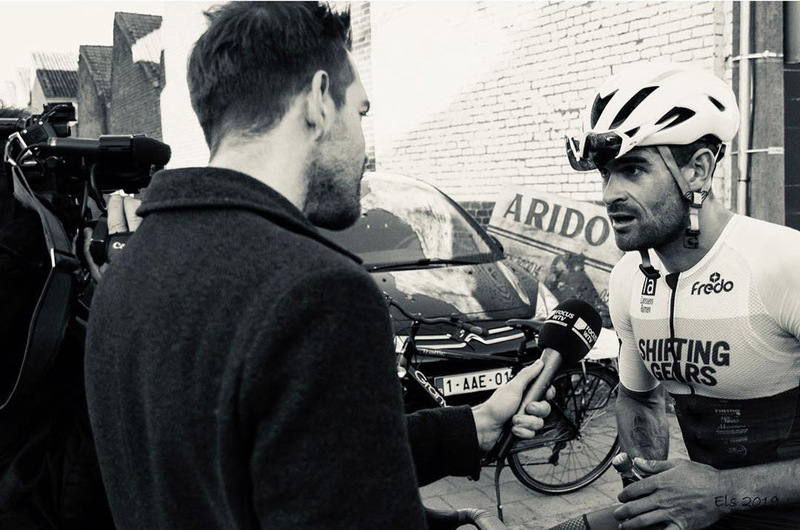 Eamon Lucas: My two wins during my first two weeks here in West-Flanders were amazing. I was so delighted to come into the season with winning form. In the past I have had to race for a bit before my legs had that extra percent you gain by racing but this year my winter was REALLY productive. I spent six weeks in California at home in good weather and I think that was a real big reason my form was at “race winning level” right off the bat! But I am very happy to be at a winning fitness level right now! PEZ: What's with the "Van" Lucas on social media? The “Van” in my Facebook name goes all the way back to September of 2010. It was the night before the Junior Worlds Road Race and I thought to myself; “There are a lot of GREAT riders with the VAN in their name, I’m going to add on to mine” and since then it has stuck! Kind of funny if you think about it. But now I like it! PEZ: Pacific Grove to the Flatlands - that's a mighty big contrast, do you miss the sound of the surf? You’re telling me! 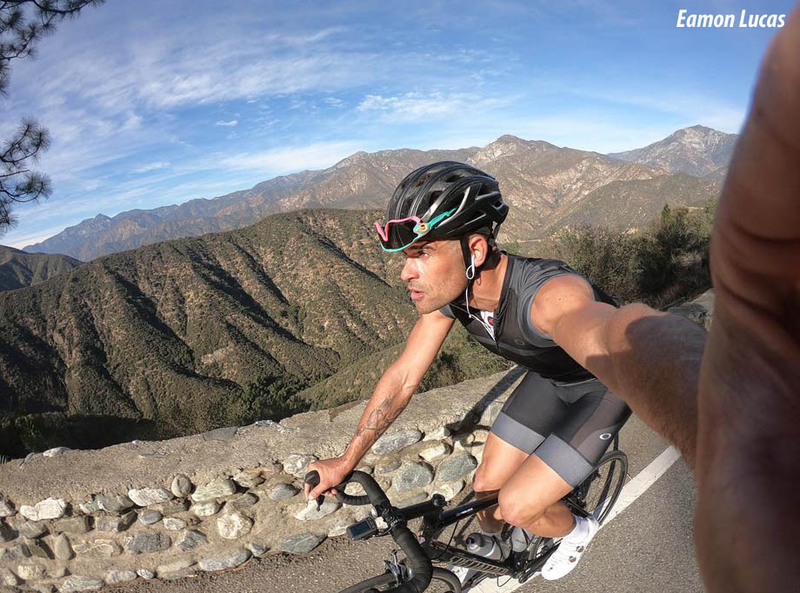 I traded my family, familiarity and the ocean for crosswind, dog-eat-dog racing and cobble stones. But honestly Europe in a way is my home now. I have been coming to Belgium and living in Europe now for almost 10 years. It’s what I know and what I love. Pacific Grove is always going to be there! So is Belgium but the contracts and ability to ride at 500 watts all day will not so I’m going to ride this beautiful wave of life for as long as I can. PEZ: Where's home in the Flatlands? 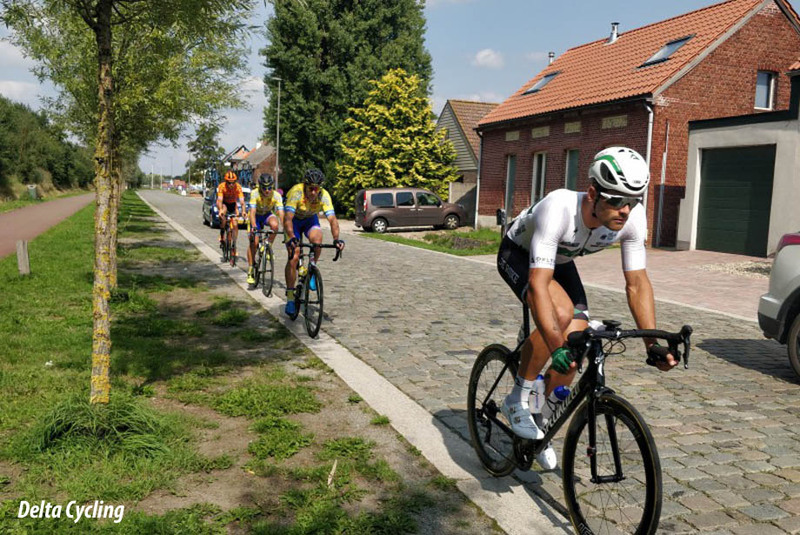 I am located in a town named Roeselare [home to the Flemish Cycling Museum, ed.] about 10 kilometers away from the town I first started coming to when I was with USAC way back when. I stay with a family when I am here I have known since the beginning. It gives me a real sense of home and a very stable environment to be focused and I am very blessed to have this here. PEZ: Tell us about 10 years ago and your time on the US Junior National Team. Yeah whoa! Just about 10 years ago I showed up here in West-Flanders. Crazy to think about the time that has passed and the development that has taken place. I think I am one of only guys from that time period still racing let alone riding bikes. But the time I spent with the both junior and U23 National Team I’m grateful for because it gave me a platform to get to the next level and to be exposed to these high calibre events. Without USA it would have been IMPOSSIBLE for me and almost every other successful American that’s racing professionally and living in Europe now! PEZ: You were second in Canada’s Tour of Abitibi in 2010 - 'the junior Tour de France' - that showed a lot of potential. . . Heading to Abitibi in 2010 was great. Finishing second in the final GC to Lachlan Morton was even better. I went with my trade team at the time (Specialized Junior Development). It all came down to the TT and final stage that year. I was second in the TT and that put me in third overall with two days to go. In the final stage the peloton was RIPPED APART due to cross winds. I was in the front group and the kid who was in second, didn’t make it. I did all I could to get all the time bonuses but when it was all said and done I lost the race by 59 seconds. 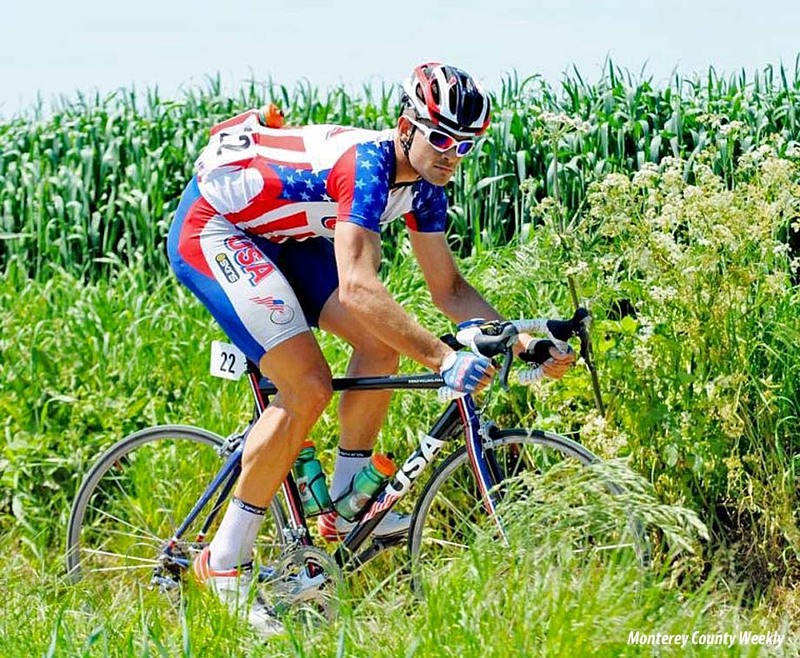 PEZ: Season 2013 - California Giant, Andy Talansky's old team, what was that like? I spent almost my whole U23 career riding for Cal-Giant. It was another reason I am here today still. Anthony Galino who was the general manager of the team made sure there was a SOLID platform to grow and develop. He was also “pro” national team, so when there was a chance to go to Europe or abroad I had the freedom to do so. I think of those days a lot and smile because a lot of U23 riders now are struggling and I really didn’t have to. I am blessed to have had the Cal-Giant name on my back for three GREAT years. 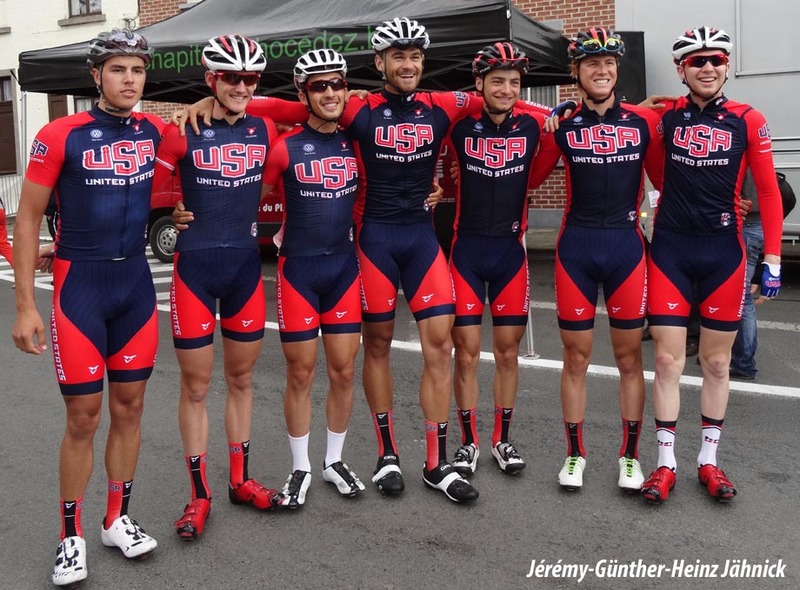 PEZ: Then 2014 you were with Hagens Berman, that was a big deal u23 team - but just one year? During my last year as an U23 I made the jump to Hagens Berman-U23 a Seattle based Development team. I was stoked because I was going to make a little money - and when I mean a little money, it was A LITTLE but some ($300 a month) is better than nothing. On HB-U23 the vibes were good and we had a great time. It’s always tricky with first year teams but this one flowed and for the most part it was a great time. My best result that year was 3rd in the 2014 USA National Criterium Championships. PEZ: For 2015 it was IRT what was that set up like? IRT was an emotional roller coaster for staff and riders alike - I could talk about everything for a good while but out of respect for the other riders and staff that were involved, I’m going to respectfully decline that question. I will say this though, cycling has brought me much happiness and it has also brought me great pains. In 2015 I was on the edge of hanging my bike up for good. It was a real struggle and made me pull my boots up and I found out how much I really wanted to make ‘riding a bike’ my job. I am thankful now I had the loving support of my family and friends to keep my head straight and legs moving forward. PEZ: Year 2016, Astellas and a stage win in Fuzhou. I could title 2016 with Astellas “Don’t judge a book by its cover”. Because when I was offered my contract in 2016 it was to ride for the “Crit Team” that Astellas has and I was really not wanting to ride crits. I wanted to be on the UCI Road team. Buuuuuut I held my tongue and told myself “I will give it a try”. Boy am I so glad I did! I think that year lit a huge fire and got me back on track. I had never been part of a WINNING team like that ever so it was really eye opening, electrifying and motivating to be a part of a NRC, NCC and National Level winning team. 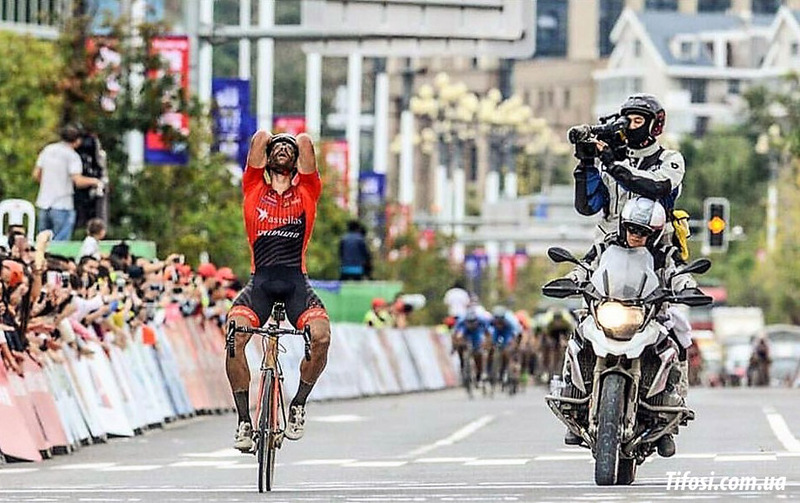 I myself, even won stages in events like US Crits-Speed Week, Tour of America's Dairy Land and a stage of Tour of Fuzhou a UCI 2.1 Asia Tour stage race in China. I look back at that year and credit the love we all had for each other. The team was Brandon Feehery, Clay Murfet, Aldo Ilesic, Ryan Aitcheson and Ian Keough. The year I spent on this team for sure changed my life and my attitude on racing for the better. PEZ: Then 2017, a good year in the US with a lot of wins, who were you with? I was with “Crit Life” We were the bad boys of the US Domestic Crit seen. The team was Brandon Feehery, Clay Murfet and Aldo Ilesic. At the end of 2016 Astellas folded and left everyone high and dry at the end of 2016. We all were coming off a GREAT year and now no one the team has a contract, NOTHING! So we (Brandon, Clay and Aldo) pulled all our contacts together and made “Crit Life”. We had bikes and wheels from Specialized, a next level team vehicle, flashy kits and a small budget but it all worked. I think in 2017 the team won almost 40 races. 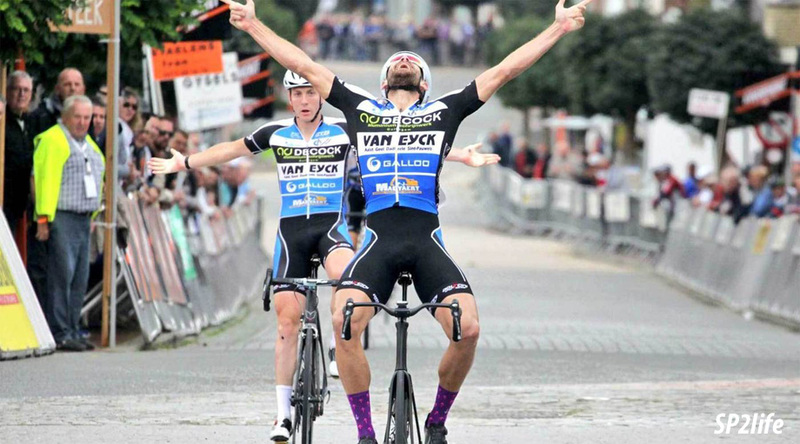 I won 13 races In the US that year and 3 races in Belgium that summer. It was LIT! We partied hard, raced harder and loved each other like no other! PEZ: Last season, 2018 - Delta, a good outfit, that must have been fun - but it folded? Delta was A DREAM COME TRUE and A ONCE IN A LIFE TIME SHOT. In the later summer of 2017 I went to Belgium after Red Hook London and told myself “I was going to find a contract in Europe no ifs, ands or buts”. I did just that! With the help of Laurens Ten Dam. In 2016 Lau tried to get me on Delta but it didn’t work out, I needed to win more. I won seven races that year, they were good races but I need to show more. In 2017 I won 16 and three of them were in Belgium. I went back to Lau and said “would you mind asking Delta again for me.” He did and the rest is history. I always wanted to get back to the UCI road scene in Europe and I did just that after leaving it four years ago. The re-integration to the Euro peloton was a kick in the mouth to say the least. I really suffered for the first half of the year. But, like always I didn’t quit, I stayed true and pushed HARD. I started to see change and growth in the second half of the season. The team also started to see it and the confidence started going up and racing was not as scary anymore. I was finding my rhythm and once again over came another hurdle in my career. 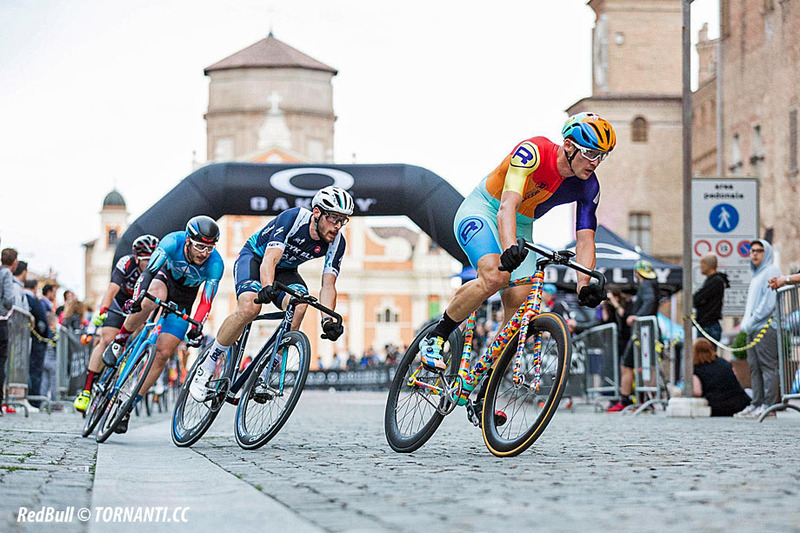 My body was finally able to handle the stress of the training load with racing and I was starting to have legs in the final of UCI 1.1 and pro races in general. 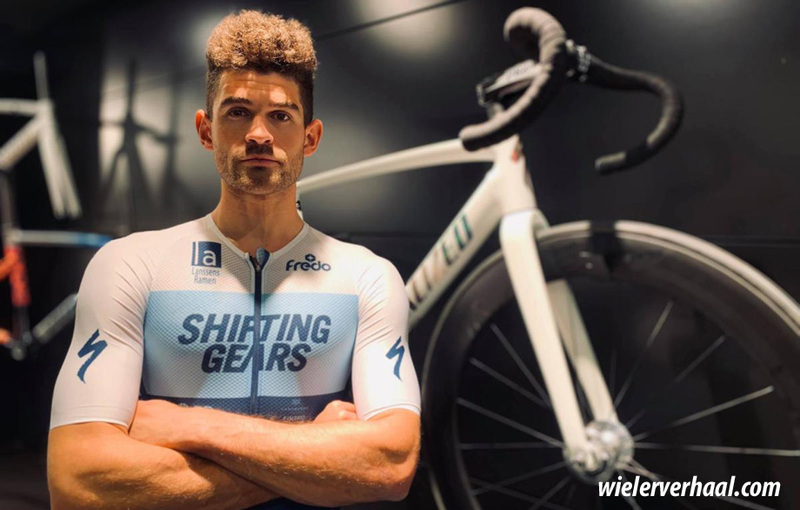 PEZ: And up to date, 2019 - Shifting Gears-Geldhof Jielker out of Bruges, tell us about it. I really feel at home here at Shifting Gears. I was connected with SG at the end of last year. Delta Cycling ended up folding and all riders had to find a place to go. From the beginning I have been with or on a Specialized. Over the years I have worked hard to develop a relationship with the brand and the people that work for the brand. That relationship to me is more valuable than anything really. I am so thankful and humbled to be representing a company like Specialized now for years. I knew SG was a Specialized Concept Store in Bruges and I really didn’t want to leave the brand in 2019. I went to Hakim the store owner and GM of the operation and said “Hey boss, what do you guys have going on next year? I have nothing on the table and it’s late October”. He was very excited I called and was very motivated to have me on the team. He made a few calls after we chatted, one to the Alexander Alonso who is another team boss and within that hour I had a contract and a spot on the team for the 2019 season. I was able to meet with the team a few times before the season started riders and staff. I was the perfect fit. The vibe, the morale, the attitude, everything was like a family that I had been a part of for years. 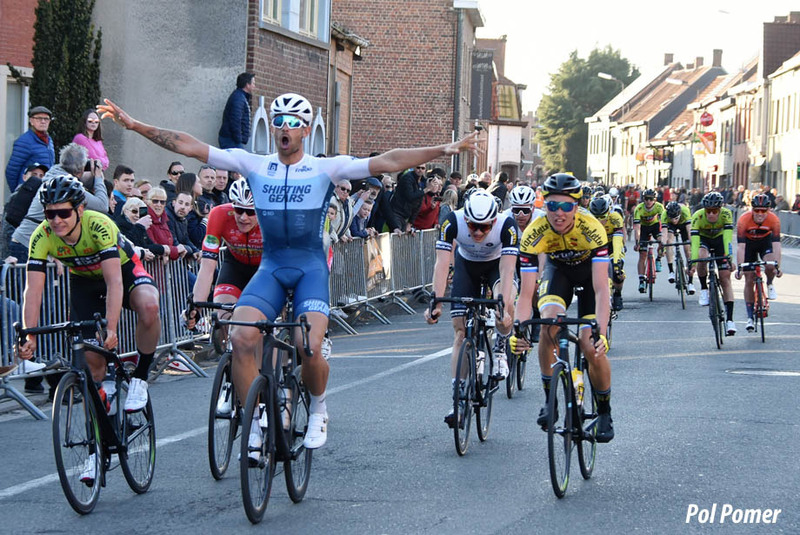 I think that feeling and welcome shows in my first weeks racing here Belgium! PEZ: Describe yourself as a rider for us. Okayyyyy here goes nothing! I am a bike racer. If the road goes up I race up; If the road goes down I race down; If there is wind, I race in the wind and the list can go on and on. I am a bike racer. I have a fighting style on my bike and I don’t label myself because if you do that then you start to limit yourself. Until I have a piece of paper with my name on it telling me you are this kind of bike racer and getting pain to be that kind of bike racer I just put my helmet on and go out fighting every time to try and win or make sure my team wins! 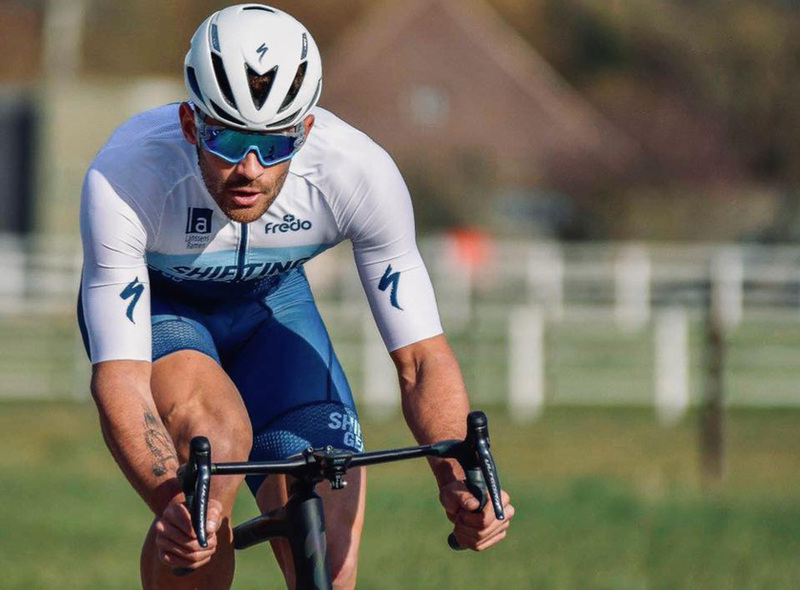 PEZ: Tell us about your relationships with Niki Terpstra and Laurens Ten Dam. If I had a dollar for every time I was asked this question I would be balling! But I’ll do my best in describing the relationships with both Nik and Lau. I have a father figure with Lau, I have a coach figure with Lau and I have a friendship with Lau. I am grateful for all the boxes he checks in my life. Someone I have limitless respect for. I look up to him like I look up to my biggest hero. He is the BEST example of what a ‘pro bike racer’ should do. And that’s ‘win,’ actually. His work ethic is machine-like. His focus is beyond anything I have witnessed. His advice is something I cling to like paint on a wall. I soak every valuable word up and never let it leave my head. When we hang out and god we have a BLAST, the tunes are loud, the BBQ’s are tasty and the beer flows! I love Laurens and I am blessed to have him like I do. Niki is like the older brother who is just a bit too old for you to have a real connection with but loves you and cares like no other because he is your brother and your older brother will always care and be there. We don’t talk too often but when we do its great. He is either telling me some kind of advice about racing, laughing about some stories around a coffee during a training ride or just being Niki. I can’t give you more than that. But he also cares and I’m more than thankful for him to be in my life. Being around Niki has pushed me to a new level, no doubt. You can’t stay basic around great people like this. If you do you will be chewed up, spat out and forgotten about before you know it’s coming. You have to rise and get on their level. I feel like I have, to my best ability. I mean I have not been kicked out of the ‘Noord Hollands Best training group yet! So I am doing something right! PEZ: Have your two wins generated any interest from bigger teams? To be honest it has. But as to with who, I’ll hold those cards a bit closer to my chest, if you don’t mind? But know I will continue to race hard and shake the tree as much as I can this year for the best possible situation in 2020. PEZ: And 2019 is about. . .
2019 is about signing a ‘Pro Contract,’ end of story.